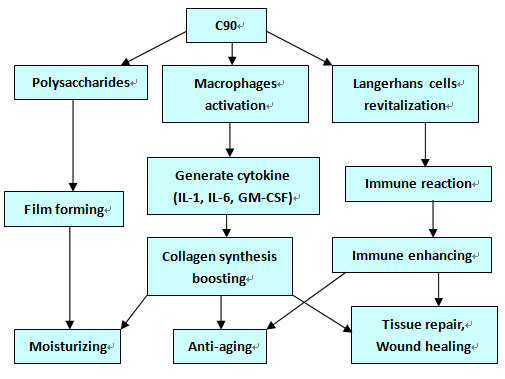 Yeast beta-glucan is a polysaccharidethat exists in the cell wall of yeast, numerous clinical studies have shown that it can stimulate the human immune system by enhancing the activity of macrophages and other immunocompetent cells. Besides, it is able to accelerate tissue repair. Yeast Essence C90 is partly carboxymethylated yeast beta-glucan, which is water soluble and has the same functions as yeast beta-glucan when used in cosmetics. It can greatly revitalize the skin’s defense system, enhance the natural repair processes and reduce the sensitivity of the skin. The biological activity of beta-glucan is determined by its molecular structure which depends on its origin (yeast, oat, wheat, fungi). Beta-glucan from yeast was shown to have the most potent immune-enhancingcapability. 30 volunteers of random gender at random age took part in the tests of Transepidermal Water Loss (TEWL). 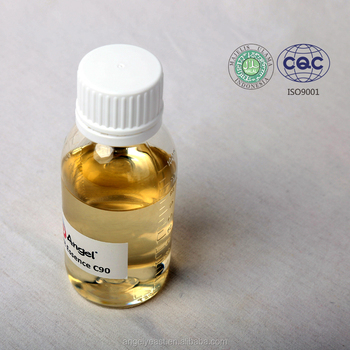 The formulations of C90 at a concentration of 5% were used as pretreatment on the volunteers' arms for evaluation of skin humidity protective effects. The results showed that C90 significantly decreased the skin humidity loss compared with the control groups.